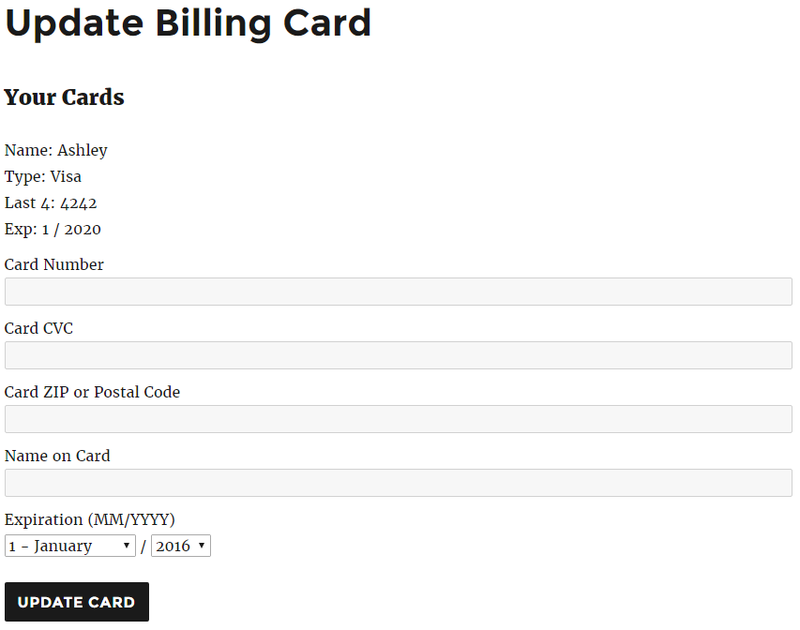 The [rcp_update_card] short code can be used to display a billing card update form to subscribers. This allows subscribers to update the credit or debit card that is billed when a subscription payment is processed. Note: this short code only displays the card update form to subscribers that have a credit / debit card on file and have subscribed through a payment gateway that supports updating cards. At this time only Stripe, PayPal, and Authorize.net are supported. If the user doesn't meet these conditions, then nothing will be shown. It's recommended that you place this short code on the same page as [subscription_details], or a page that is connected.